Quantum Workplace delivers smart employee engagement tools for achieving and recognizing workplace awesomeness. The Quantum team is made up of phenomenal people who are passionate about what they do and put customer service as a top priority. I love that they not only help with current products, but solicit feedback for their future roadmap. Their products are easy to use and intuitive for my employees to jump in and be successful. Their admin features are exceptional, and I havent hit a critical limitation in the past 3 years of using them! hhhmmmmm .... (Can I add more M's to drag out the limit?) HA! In all honesty, I cant think of anything that has disappointed me or let me down. Deadlines are hit and products are functional! We initially partnered with Quantum for our Engagement survey, but have since expanded into peer recognition, 1:1's and 360s. We have a solid engagement platform with Quantum and have employees who love the tool. Happy employees = happy leadership! "The Evolution of Performance Management "
We like that there is more to the tool than just performance. Through the different modules, our employees have been utilizing it to create more of a community within our company. We are delighted for the employee development evolution we have started and employees feel pretty excited to be "in the know" through the continuous conversations they are able to have with their leaders, facilitated through the tool. We have already started to utilize all the modules in the short time we've been using it, and can't wait to see the progress once we are utilizing it to its full potential. Quantum is a great tool and we are still learning a lot of its features, however, we've found some of them are not as customizable as we would prefer. It is important to test your process in the tool prior to committing to the tool, but also be open to changing your process. Keeping an open mind. At Arise we have a goal to be a High Performing Company. We were looking for a tool to assist us in getting there, and we found that our leaders were checking in pretty consistently throughout the year, however, were holding off to have the really important developmental conversations until the formal review cycle. Through Quantum, we are re-working this process and helping our leaders have more consistent meaningful conversations with their team, which in turn, hopefully will create a more aligned and successful organization. We have worked with Quantum for nearly 3 years and after working with multiple associate survey companies over the years I can honestly say there is something different about Quantum's dedication to their customers. When confronted with a question or unique request they immediately suggest solutions rather than explaining why they can't do it under the current service agreement. They are true partners when it comes to accomplishing our unique goals. Hard to find something that we "dislike". Our primary tool has been Quantum's associate surveying solution. Using's Quantum's system we have been able to drastically reduce the amount of time it takes to report our results and was able to roll out direct manager access to results for the first time. This, combined with their goal setting tool, has helped move us from the time consuming administrative reporting to value added consultation on how to use the survey results to impact engagement. I enjoy the different things that you can do with Quantum Workplace. For one, you can do performance reviews with employees and set tangible takeaways to act upon. Two, you can recognize peers and coworkers for a job well done with whatever it may be. Third, you can send out surveys to check in with employees - i.e. engagement surveys and best place to work surveys. Quantum Workplace can be a bit rigid at times, which is why I typically use Google Docs for my 1 on 1 meetings. If you were better able to customize some of the forms that you use, it would make the platform extremely appealing to me. Give it a shot, you'll be impressed. It has a variety of features that can be super useful. The product helps us with our system of employee recognition and employee feedback. Being able to keep track of everything in one place allows for maximum organization. It also presents good metrics which help quantify some of the information you get back. "Feedback and appreciation tool for your company"
I like how robust the system is. It recognizes a company's hierarchy so that results can be seen by the appropriate people, and anonymity of responders is still maintained. I also like the ability to easily and quickly share accomplishments and appreciation of team members quickly and with broad visibility. Nothing I really disliked about the system, it seems like a well rounded employee feedback and recognition tool. Quantum Workplace is an effective performance feedback tool that anyone in our company can use to understand how they are perceived at doing their jobs, and to help them and their managers understand their strengths and possible weaknesses. We also use Quantum Workplace as an employee appreciation tool. I think it satisfies our company's desire to have a tool in place that anyone can use to learn about their work performance at anytime and recognize achievement. The reporting capabilities are quite good, the broad array of products, and the competency of the service personnel are all strengths of Quantum. Would be great to have a more specific external benchmark match to our industry (Human Services). While we have not yet implemented products other than the engagement survey, Quantum offers a very broad suite of related products that we are planning to implement, including Goals and One-on-One feedback tools. Retention is one of our highest organizational priorities. Our engagement survey process, and most specifically the action planning process, enables us to focus our efforts on the most impactful drivers of retention and engagement. "Employee Engagement Full Toolbox with Quantum"
For a reasonable fixed price we have access to benchmarkable employee engagement survey and a plethora of other tools (1-on-1 templates and tracking, pulse surveys, etc.). Quantum tools are very intuitive but the staff is also great and flexible in helping us meet our needs. Plus, their library of resources is very useful for our managers. The tools are easy to use and the support makes it even easier to understand the richness of the tools and the data. Excellent analytics on our employee survey responses, along with ideas and tools for addressing improvement areas. Also superb resources for assisting our managers in becoming more "coach-like". The convenience of managing of all feedback is what makes this tool the best for a small / large team and also makes us feel Quantum Workplace to use mostly. One of the best ever features I like is feedback 360 as we can give our employees freedom to ask for feedback or also can auto schedule it. Very good software. There is nothing which I should say I don’t like about Quantum Workplace, however, I wish if they would have work more on the integration part for making it single sign on as sometimes the process is very not too clear and support is also not available. That are my only issues about this software. We have found you idea one of the best in market and unique as well. Most importantly I would like to mention here is this type of system is required most for all type of organisation and that too throughout their lifetime when they are in the market. w e would like to share that while using Quantum Workplace our organisation ahs showed a tremendous improvement in our working , revenue generation and lead generation and all that could happen just because of continuous feedback from our employees. "Awesome Partnership with Quantum Workplace!" Immediately, we appreciated the easy engagement survey set-up, user-friendly reporting tools, and analysis of our results. As we continued our partnership with Quantum, we began to realize their high commitment to daily customer service needs, diligent project management processes, and, most importantly, a genuine interest and care for our business success. I would recommend Quantum Workplace to any organization, especially those who are seeking to begin or improve their engagement initiatives. I really cannot think of anything I do not like about this organization or the tools they provide. They have been extremely flexible with us. Excellent for organizations working with a partner for the first time! In the truck transportation and supply chain logistics business, we are concerned about turnover. Quantum Workplace has helped us focus on engaging team members for retention. Engagement data has become a critical KPI for our organization and our leaders rely on the information as a key input to strategy and daily management. "Quantum Workplace makes engagement a way to be, not a thing to do." Quantum Workplace takes employee anonymity seriously. They have measures to protect survey respondent identification including strict reporting minimums. The TeamPulse reporting tool makes it easy to track your response rate during the survey period and it also allows lightning fast reporting after the survey results have been collected. The TeamPulse reporting tool allows us to distribute survey results to our leadership within 3 days after the survey period closes. Quantum Workplace can help create custom reports as well, however we have never needed this level of support because their automatically generated reports are so rich. I wouldn't call it a negative, but I can tell Quantum Workplace has been growing lately. This means that each year we've worked with a new account manager for our survey. Though each account manager has been fabulous, we tend to need new introductions and some slight orientation to get started each year. Go for it and don't look back. Quantum Workplace believes in continuous improvement so they will constantly be competitive with other engagement survey vendors in the market. Quantum Workplace keeps it simple, yet gets you all the information you could possibly need about your organization. Our leaders love it, our team members love it, and my team of administrators love it. The survey reports paint a very clear picture of our organization-wide engagement to our leadership. The competitive side in our leaders makes them want to do better and better on engagement each year and has prompted heavy departmental support for engagement initiatives. Quantum Workplace provides action planning templates that we can provide to each leader which empowers each individual department to take ownership of their own level of engagement. In the past few years, we've made major organizational structure changes, increased our team by 30%, and tackled huge new projects like launching a completely new website in addition to a few major product launches. Quantum Workplace has helped us keep an eye on how our team members respond to all that change to ensure we prevent burnout and keep everyone engaged. It's been quite the challenge, but even talking about it, surveying it, and doing something about engagement each year makes team members feel like they are being cared for by our organization in the right way. "Simple & easy to use, but not a magic bullet"
Quantum is easy to use. The interface is simple and streamlined, and it does what it needs to do without causing any headaches. I also like that it will send out emails featuring who has been recognized in the company lately. There really isn't anything I dislike about the software, honestly. If I could change one thing it would be to clean up the weekly recognition digest the software sends out through email - maybe have people's names alongside their pictures instead of just the pictures only. As the company grows, it's no longer the case that we can recognize everyone by their pictures. Do not look at it as a magic cure for your employee engagement problems. If you have a positive feedback-centered company, this product will enhance it. If your employees are disengaged and feel unrecognized or unappreciated, this software can't fix it - in fact, no software can. You will need to take a good hard look at your company's policies and ensure that this is meant as a supplement/enhancement to sound employee engagement initiatives. It was a nice "feel-good" thing when it was first launched, and specific departments seem to use it the most. You won't fix issues with employee engagement with it, and you won't fix problems around giving employees actual praise or feedback, but it might make employees feel good for a few minutes if/when they do get recognized. "Quantum monthly one-on-one review "
1. You gets your performance feedback quick and fast rather than waiting a long that give you enough time to take the appropriate action on or before time. 2. You get to know your short term goal quickly which is a good way to remind and act upon. 3. You get a chance soon enough in case you have something to discuss rather than waiting long time. To have Quantum every month is little much to do however every quarter is fair enough. 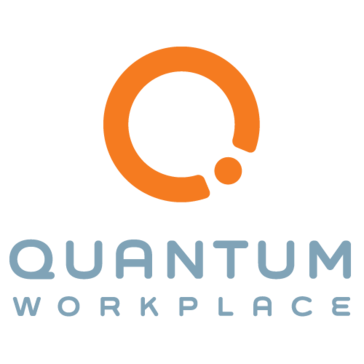 "Quantum Workplace Is The Go To System for Employee Satisfaction"
The Quantum Workplace Survey contains a vast library of questions that can be utilized in your organization. They were also very accommodating in including custom questions for the survey. The reporting tool is really intuitive and enabled us to summarize the results in a way that facilitated our highest priorities to shift our culture and enhance engagement. The comment sections provided our organization with a lot of input but it was hard to summarize and distill into trends. We had to summarize over 100 pages of comments into a high level overview for our senior leadership team and this was very time intensive. We have determined the areas where we are strong as well as the areas that we need to focus on to strengthen our culture. the best thing about Quantum is that I can have all my bills, invoices, change orders, etc in one place. When the program has a new actualization is always a hard time putting all the computers to run with it again. This is a really easy software to use. I truly recommended for companies that work with various projects at the same time. Quantum helps to keep track of all the projects you have at the same time. Also, It makes easy to see the progress of billing the payment applications of your clients. Quantum allows for growth not only at the individual level but among the entire workplace. This is great for extremely motivated individuals as it rewards your hard work and creativity. You can't just sit back in cruise control and go with the flow. This is for self-starters and those that love to work hard. Continue to focus on the individuals and the company culture. No matter how big you grow, each person is important and they should all feel that the company is headed in the right direction. The ability to solve problems both big and small to reach your goals. Constant improvement in the workplace in terms of work ethic and morale. Two things, the product and their customer support. While any vendor can implement a product, it's QW's customer support that really sets them above all the others. They were with us every step of the way through the entire project/process. I grew to trust them and welcomed their advice and support. They really do have an amazing Customer Success team who really has your best interest at heart and wants to help you succeed. We were really happy with the product and service that we received from QW and can't think of anything we disliked. The initial reason why we reached out to QW was to help us measure our current employee morale and engagement. While we had anecdotal evidence, we didn't have the hard data to show this. So we engaged QW to help us implement an employee engagement survey. They not only helped us with the administration of the survey, but also the communications and action planning which was extremely helpful. "Great tool to recognize your peers"
I love that we can send a shout out to our team mates with different badges. Recognizing your peers is such a great motivator! Quantum's site is easy to use for admins, employees and managers. I like the ideas and suggestions that are provided for managers related to engagement and the support folks were super helpful and responsive. We also are using for recognition, pulse surveys and piloting usage for 360 feedback. Some navigation is a little clunky, for example, you have to first click on "surveys" to get to the analytics for the engagement survey (vs. clicking on "analytics"). Both should work. Engagement and pulse surveys; recognition portal. The platform is easy to use, I can see the feed for all users or I can filter to my immediate staff/co-workers. The overall goal function is useful and the ability to share goals/align them to a team or the organization is beneficial. For the SMART goals metric, it doesn't follow the SMART goal format. You are only asked to provide the measurement, nothing about if the goal is achievable or realistic. Navigation between sections is cumbersome. Performance management, alignment across teams & functional teams. I love quantum both as a reviewer & as an employee. It makes it easy to connect, exchange comments and complete the process in a systematic fashion, in a user friendly and intuitive interface. I also like the goal check points, where there is an option to continually update progress on goals instead of waiting until end of the year. Nothing ! I love the interface and like the whole platform . I really like how everything works together in this program, from the online ordering site straight into the PO. The online templates are somewhat difficult to set up. I can spend upwards of 10 hours on setting up just 1 business card template. If you have any questions, then definitely call support. The team there is fantastic on getting to the root of issues with our online site! Instead of having to pay a graphic designer to set up each business card, then send to the client for approval, they can create their own art proof, confirm it, and by the time we get it, it is ready to go to press. "Great addition to our HR tools"
The templates that they make available to us. Great for guiding conversations and making sure people have thought out what they want to talk about prior to a conversation/meeting. Very simple for users to navigate. The home feed is a little basic...very white, not a lot of images. We don't subscribe to the recognition piece which I understand could liven up the feed a little, but it'd be fun to see a more interesting design. Also, the stock photos of people doing business in suits that usually appears on the login landing page is so cheesy-- stock-image photos at their very worst. The customer service at Quantum is high class. Their responsiveness and quality care is the best! I recommend companies of all sizes utilize Quantum's quality services. There is not anything that I dislike about this product. Quantum Workplace has provided not only an excellent Employee Engagement Survey for my 300 plus employees, but also provides us the opportunity to work together in management to make lasting changes within our organization to make lasting changes that permanently change culture. Quantam makes evaluations a no-brainer. It's an easy to use system, and gives results that are easy to sort through and see quickly. I don't really have many dislikes about Quantum. I think it's made reviews and ongoing evaluations a lot easier and they get done faster, which provides real-time feedback instead of once a year reviews. It's been nice having quick feedback that I can incorporate into my job. I enjoyed this program as I'm able to express my skills and everything I've done for the company and a great way to review what my boss thinks of me. I did dislike the fact that I would like to input more information as to what I want my boss to see. I am able to express any concerns I may have with the way the review. Customer Service is #1. Alee has been incredibly responsive and helpful in every possible way. The Survey capability and self administration is perfect for what I need. Some of the functionality isn't where I'd like it to be, but they are always striving for improvement. We use Quantum for Employee Engagement Surveys and to streamline our Exit Interview process. "Finally. Something that's Easy. Easy for the Employer. Easy for the Employee. And Easy for HR!" Employee engagement surveys have rapidly approached "a dime a dozen" status in the last decade. But a few still stand out. Quantum Workplace's is one of them. They've simplified something everyone else is trying to make more complex. They recognize it's about the human element, not the institutional one. From design to implementation, it was a breeze. Our employees loved using it - because they could get in and out (we had 80% participation). Our HR team loved it because they could slice and dice the results anyway they wanted to...and quickly. And our execs loved it because the report-backs were clean and crisp. Layer in a fantastic back-office support and account management team, and Quantum Workplace is a no-brainer. Um, not a whole lot. I think we would have liked to have had someone looking over our shoulder as we worked to interpret the results. I think Quantum was there to do that for us, but I'm not sure we utilized as we could have. Develop a meaningful benchmark for what matters most to our employees and gather meaningful input around what we can do to deliver on our career proposition more effectively. Quantum Workplace has helped us do that...in a big way. "Both an engagement and thought partner"
1) They are incredibly responsive to our needs and provide fantastic customer service every time. 2) The quality and depth of the statistical analysis. Every question I've had or thread I've wanted to pull on, Quantum has been at the ready to answer and help me interpret. I really enjoy my partners at Quantum and its a vendor relationship I value. Keep improving the tools; they're good, but can be better. Quantum provides great service AND great insights. They are able to flex to our specific needs and consult on how we can go about improving engagement at our company. We've used our partnership with Quantum to help identify and address issues we've had in employee retention and performance. Our top performers are the most engaged people and using data and ideas from Quantum we were able to postively impact total engagement and move the needle on performance in critical business areas. This has also helped us stem the tide on employee turnover in our technology areas. "It has been a pleasure working with Quantum these past 7 years. Their data is crucial for us!" I really like the streamlined data review and summary. The ability to filter the data by year, comparison, and by demographic is extremely useful for us to mine the details in order to reveal the story behind the numbers. The questions for free-typing is very valuable in that it seems to help us understand the "why" behind some of the results in the numbers. Our staff is very comfortable taking this survey and they have the highest confidence that it is secure and confidential by the method Quantum uses while engaging staff. Honestly can't think of anything that should be added. Use them! Huge value-added service. Employee Culture and engagement. The information we receive is invaluable for helping us become a better work environment and offer support to our staff in ways we may not have known. I really enjoy that we as a company use this to provide feedback on each other either anonymously or not. I think its honestly great. It's simple to use and an effective management tool. "I like how interactive, organized and each to use it is." I like that it is user friendly and very organized. It keeps all my items organized and easy to find or update. I really don't dislike anything, I am not a tech person and like things to be easy and simple to use, and this sight does that for me. Keeps me engaged to what goals I need to achieve in my workplace and holds be accountable, since using this sight I am also able to interact with co-workers and I have seen a positive growth in my workplace. Easy to administer and easy to understand. Short survey with meaningful questions that yield meaningful, actionable results. I wish that there was a way to generate multiple reports for an individual (I.e., a report for a Director for direct reports and an overall summary of the department). The surveys are great. The reporting is easy to use and the account managers are always helpful. Nothing I can think of at this time. I am happy with everything about the product. Good way to set goals, stay on track, and be transparent with your co-workers and supervisors. Sometimes it feels a little mandatory instead of inspiring one to use it on one's own. Staying on track with backburner issues that really do need to be addressed. Sometimes people get caught up in billable work, and Quantum seems to help remind us all what needs attention. Working with Quantum was a great way for me to better understand the wants/needs of our employee population. Our employees felt safe to respond in an honest way - which ultimately gave us incredible feedback to work with. There was truly nothing that I felt a strong disconnect with. It would have been great to have a little more support after the survey process, but financially, it was not an option for us to take them up on that next level of service. Additionally - in looking back, I also struggled with English/Spanish translation. Our #1 goal was to find out from our employees what we can do to enhance the experience of being an employee of Winston Flowers. We had a great response rate to the survey, which resulted in lots of great feedback. We're actively using that feedback as we plan our future initiatives! I used Quantum only briefly in the past but certainly had no issues with it. Everything seemed to be all in place and a good software. I would recommend this and would use this again in the future. My computer was a bit slow at the time, so a little trouble staying logged on but otherwise everything was fine. "Great product to better understand factors associated with attrition"
Good product support. Ability to customize questions for users. Application is easy to use and simple for stakeholders to understand. Inability to easily export data from system. Limited visualizations and virtually no means to export reporting elements except via PDF-format full report. Define first what questions you seek to answer, then look at vendor(s), tool(s), and process. Improving retention of key talent. "Given my limited use, liked it"
Doesn't have a lot of extraneous things. The things are there that I need and nothing more. The interface isn't very aesthetically pleasing. Could maybe "look a little nicer". I found it hugely beneficial for basic needs. Can't really speak to its comprehensive appeal. "Excellent company to work with for exit surveys!" Quantum has been an excellent partner to work with for our exit surveys. They are not only a great partner but they are extremely responsive. The approach Quantum has offered for exit surveys is unique and we have very high response rates to help us determine why our members leave. The Wyygo product is also user friendly. There is nothing that I dislike about the Wyygo product. Helps us determine why our members leave our company. "Quantum offers terrific modern solutions"
I love the way we were able to work directly with Quantum to provide a custom survey and experience for our employees. Many vendors would present an issue doing so much work from a distance, but quantum overcame that, No issues really, they were great! Highly professional group that has a real understanding of modern HR. We have a much more specific and targeted knowledge of our areas for easy improvement and have developed action plans to improve them by our next survey. "Easy to use to track all my HR info." I like having all my information easily accessible. I can find everything I need without having to search. Not too much. Sometimes the system can be slow. Managing HR needs all in one place including preparing people for moving into new roles. Quantum is very easy to set up and for employees to respond. The information is streamlined for easy analysis. Our board of directors like using Quantum for the annual employee stratification surveys. They find the reports easy to read and the site easy to step up. We usually have at minimum of 95% participation when using Quantum. I haven't found anything particular that I dislike except what to do with the information received. Once you have the data then the next step begins of what changes are necessary. The reports and information from Quantum makes this step a little easier. We have been tracking employee sanctification for many years. Using the same format helps to be able to compare the results each year to the previous years. The ability to change/add/subtract questions helps to keep the survey fresh while still being consistent. Thank you for the review! We'd love to know who this is. Please reach out to clientsuccess@quantumworkplace.com, so we can thank you personally. "Communication is their top priority!" Their responsiveness. If I ever have a question or issue, my dedicated team is on top of it immediately. I cannot think of anything that I don't like about working with the team. They've made a ton of procedural improvements over the years. If I ever have a need, they find a way to make it happen. They are great to work with -- you will feel like their only client! Our goal is to be a great workplace. Quantum gives us the tools we need to measure trust and engagement, and helps us evaluate and communicate results. I appreciated the Quantum Workplace team's willingness to guide us along the way to employee engagement. We've never done a survey before and I felt QW's team was very helpful in managing our expectations as well as in helping to meet our needs. There wasn't really anything I disliked. Be sure you work with a team that is both professional and knowledgeable as well as flexible. Our engagement survey helped validate problem areas we suspected and identify others we didn't know were an issue. We've now been able to strategically focus our efforts exactly where we need to. I like the fact that it is very easy and laid back mostly. I dislike the fact that changes are not always explained. I assist with intake to see if we are able to help our clients or if we need to send them somewhere else. The benefit is I love being able to help people. "Simplistic and easy to understand"
The simplicity of the program and easiness to learn. It took me a week to understand how to navigate through the software and this was my first time being promoted to a managerial title. This was all new to me but it was a breeze to learn. A lot of clutter and tools that are not necessary, at least for not my line of work. timecard, employee related issues, workplace related issues. The project team has been amazing to work with! Implementation was well organized, on time and launched without any issues. The Engagement Survey resources and tools provided to our Senior Leadership team have been very intuitive and provided great insight into areas of opportunity across our business. Can't think of a negative/constructive thing - we have had a great experience working with Quantum Workplace! We had a great experience with Quantum Workplace; the project team has been a great resource -- before, during and especially after we completed our 2014 Engagement Survey. "Platform and service are tops!" The Support is tops... Quantum wants its clients to be successful. Period. This is shown in all they do! I honestly cannot think of anything. Everything has truly been a benefit! We are using Quantum's platform for Engagement, Exit Surveys and 1:1 meetings! We have seen our engagement focus improve drastically! "Great way to keep in contact "
It can’t hurt to try something new for you employees. You never know what may work well for them ans keep them motivates. The ability to keep employees engaged in doing their best. They can check and see what profess they have made. * We monitor all Quantum Workplace reviews to prevent fraudulent reviews and keep review quality high. We do not post reviews by company employees or direct competitors. Validated reviews require the user to submit a screenshot of the product containing their user ID, in order to verify a user is an actual user of the product. Hi there! Are you looking to implement a solution like Quantum Workplace?